Abbas Gullet, secretary general of Kenya Red Cross Society, said in a television interview over the weekend that a humanitarian crisis is looming unless solid interventions are rolled out. "It is undeniable we are staring at another humanitarian crisis as floods wreak havoc in many parts of the country. The toll of deaths is rising while destroyed crops could worsen food insecurity in the semi-arid regions," said Gullet. Kenya Red Cross has partnered with state agencies to provide emergency assistance to flood victims in the worst affected counties in the coastal region. Gullet said that the number of people displaced by floods in the coastal counties of Kilifi, Lamu and Tana River is rising, straining ongoing humanitarian interventions. "So many families in the coast region lack shelter, food and clean water after their homes were destroyed by floods. There is a humanitarian crisis already unfolding in this region and the ongoing rains could worsen it," Gullet said. Cabinet Secretary for Devolution Eugene Wamalwa has been spearheading efforts to provide emergency aid to flood victims countrywide. Besides overseeing distribution of food rations, clean water and medicine, the cabinet secretary has also mobilized rescue teams from the army to help erect temporary shelters for victims of floods. The low-lying plains have borne the brunt of floods as evidenced by the massive destruction of homes, farms, schools and hospitals. Many schools in the arid and semi-arid regions are already submerged in floods, putting uncertainties on the resumption of studies after the April holiday. Cabinet Secretary for Education Amina Mohamed last week ordered her officers to conduct an audit of schools affected by floods in order to inform remedial measures. Heavy flooding has also destroyed critical infrastructures such as roads, power lines and telecommunication masts in many parts of the country. The highway linking Nairobi to the world famous Maasai Mara game reserve was cut off when the rain season peaked in the middle of April. Major cities have also been affected by flooding, which snarls traffic and overwhelms drainage systems. It is feared that an epidemic could erupt in big cities like Nairobi and Mombasa due to contamination of drinking water. The central Kenyan highlands have not been spared either. Landslides there have claimed lives while destroying homes, tea and coffee farms. 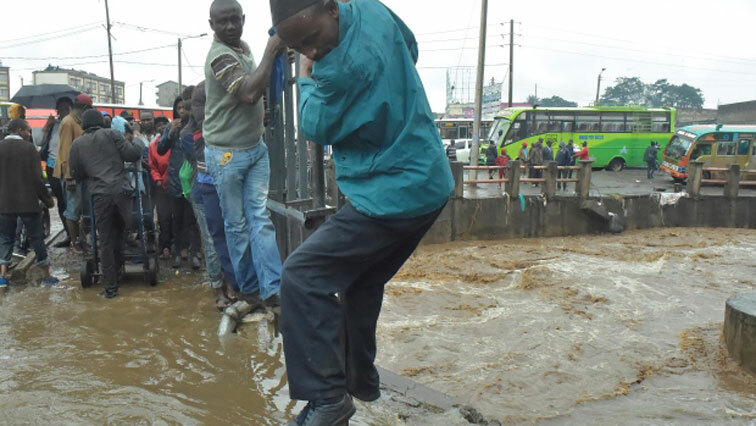 As Kenyans prepare to mark Labor Day on Tuesday, it appears unlikely that the floods would subside. Earlier forecasts by the meteorological department said heavy rains will continue pounding the country until the end of May.